Carry the strength of a DC comic book superhero where ever you venture! 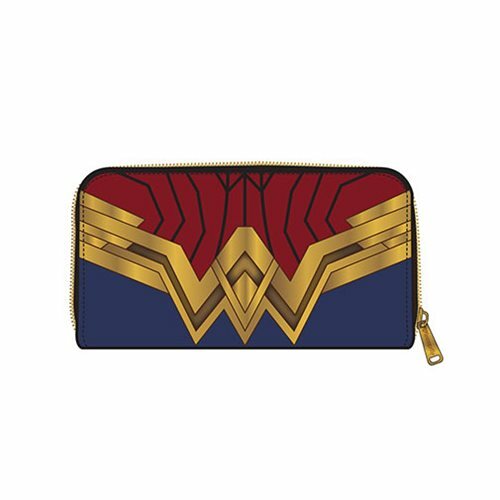 This Wonder Woman Zip Around Wallet is made of faux leather with printed, applique, and debossed details. It measures approximately 8-inches x 4-inches.